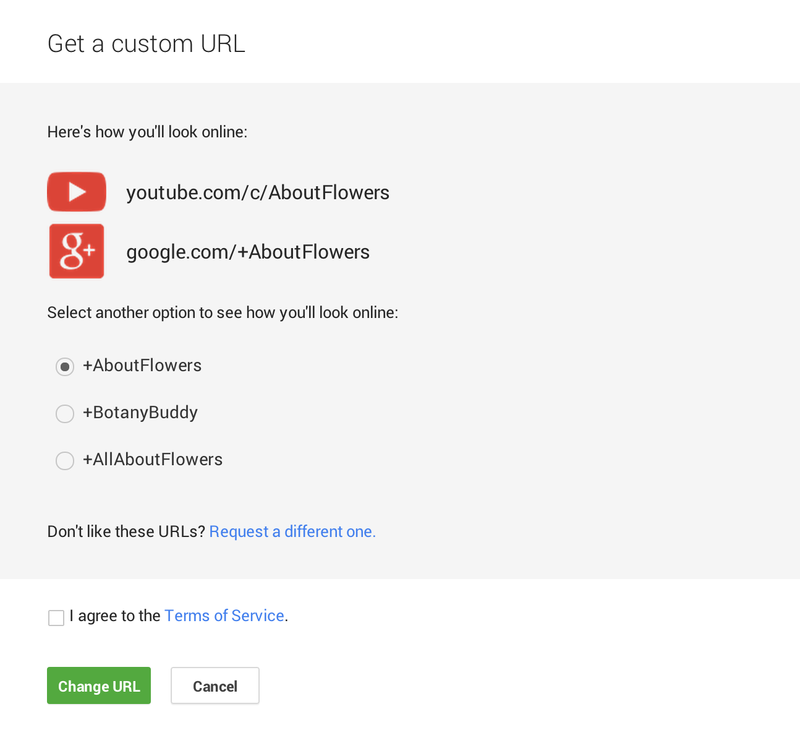 This entry was posted in Google Testing Blog and tagged Arif Sukoco, Hank Duan, Julie Ralph on November 30, 2014 by Google Testing Bloggers. 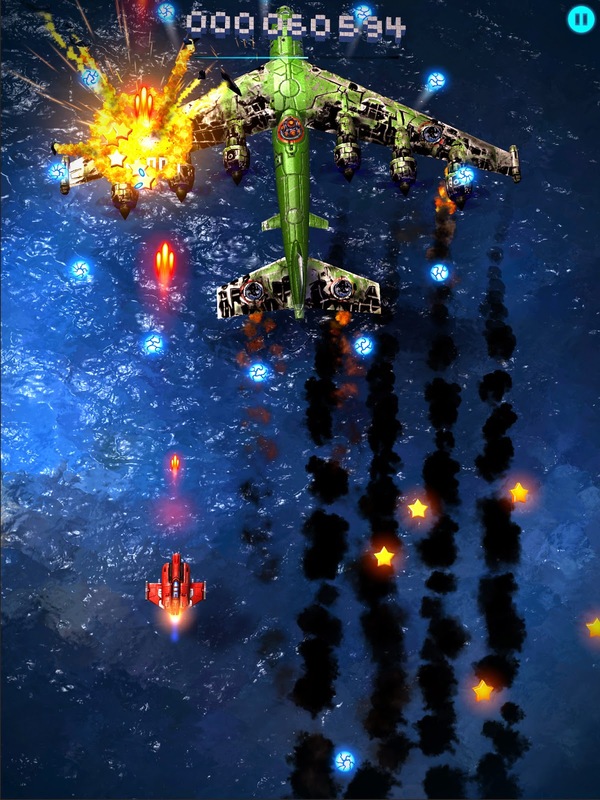 This entry was posted in Android Blog and tagged Android on November 26, 2014 by Unknown. This entry was posted in Google New Zealand Blog and tagged New Zealand on November 26, 2014 by Johnny Luu. This entry was posted in Google Chrome Blog on November 25, 2014 by Google Chrome Blog. Break out the stretchy pants: Thanksgiving is right around the corner. Before settling in for a day of family, football and food coma, many weary travelers earn their eats through another time-tested holiday tradition: travel. This year, plan a different kind of holiday — one where you can enjoy your meal on the fly (literally). Check out our jet-setting, turkey-day-travel-itinerary that takes you across 4 historic American cities named after your favorite Thanksgiving eats, like Cranberry Country, WI and Pie Town, NM. Planning your adventure is easy with Google travel tools that can help you quickly find the best flights, hotels and things to do. 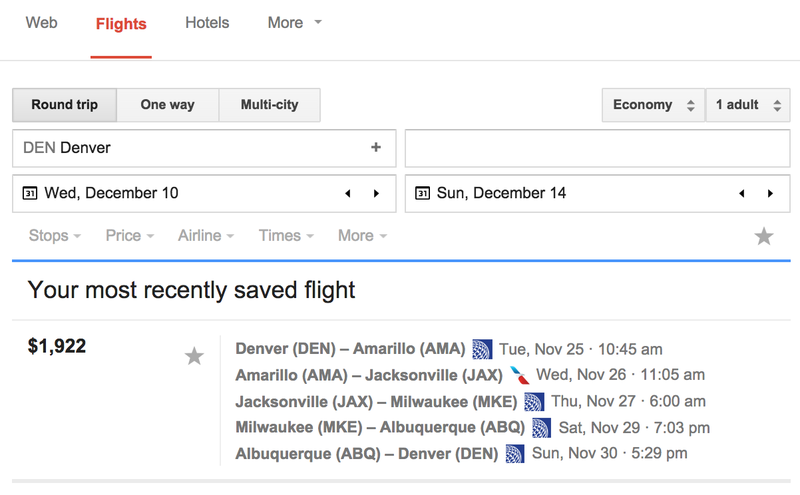 You can use the itinerary we’ve saved as your recipe for adventure or go to www.google.com/flights to quickly and easily plan your own multi-city meal — selecting the destinations and portions that appeal to you. Take our suggestion and start your edible itinerary with the star of the show: the turkey. 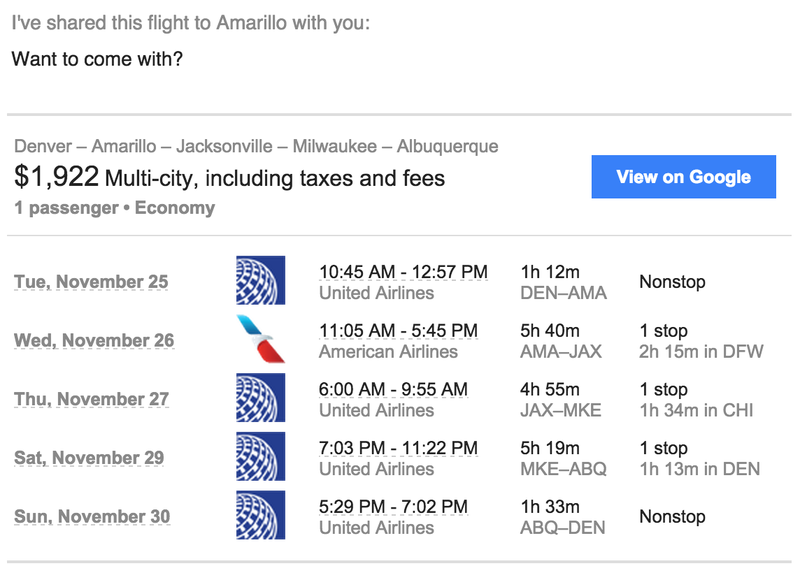 Fly into AMA (Amarillo, TX) and drive to the small town of Turkey, TX. With a population of less than 1,000 and an annual festival honoring native son and Western Swing musician Bob Wills, it’ll be a leisurely visit. Swing by the dry goods shop on Main Street, or check out the Bob Wills Museum, with twice-weekly live music shows. Once you’ve had your fill of Turkey, TX, hop a flight to JAX (Jacksonville, FL) and make the quick 50-minute drive to Spuds, FL to indulge in everyone’s favorite starchy side dish. Primarily a farming community, the main crop in Spuds is — you guessed it — potatoes. 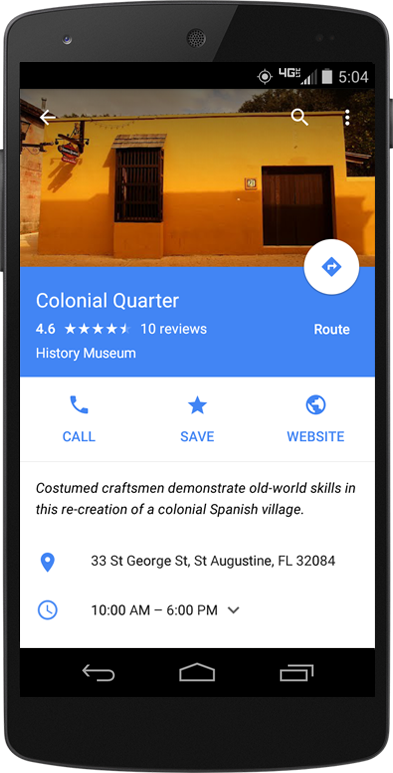 Only 20 minutes away is St. Augustine, the oldest European settlement in the country. You can enjoy a variety of historically themed activities to indulge your turkey day traditionalist, including the Colonial Quarter and the Florida Agricultural Museum. Up next? A visit to Cranberry Country by way of MKE (Milwaukee, WI). Take a relaxing drive on the scenic Cranberry Highway with nearly 50 miles of cranberry bogs, some that have been functioning farms since the 1870s. You can also take a 2-hour drive to Chicago where there are plenty of Thanksgiving-themed events to keep you entertained. Bundle up on Thursday morning to watch the 81st Annual McDonald’s Thanksgiving Parade, featuring floats, local celebrities and marching bands. 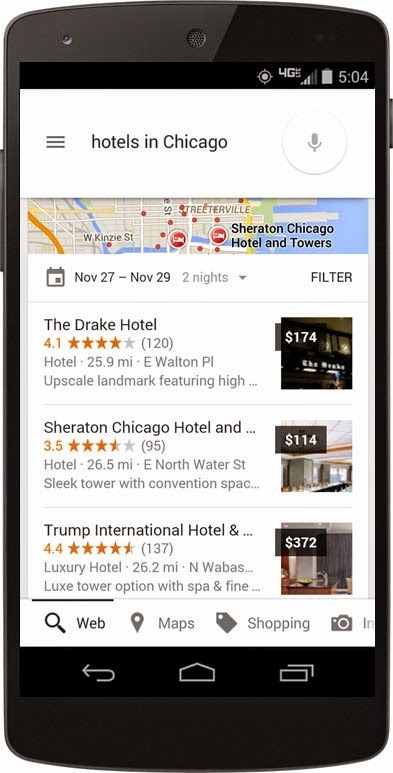 When the tryptophan finally kicks in, ask Google to show you “Hotels in Chicago” and you’ll see several options available. Select your preferred hotel and quickly book with one of our travel partners. Hit the town early the next morning for a day of Black Friday deals along the famed Magnificent Mile, where for over 50 years, the trees along Michigan Avenue have been draped with thousands of twinkling holiday lights. There’s no better way to end your meal than in aptly-named Pie Town, NM. After landing in ABQ (Albuquerque, NM), settle in for a 2.5-hour drive to the tiny community made famous for its proximity to the Continental Divide and its pie. Try Pie-o-Neer Pies, a Travel + Leisure featured restaurant. It’s known for chocolate pies, butterscotch pies and New Mexico Apple pie made with green chiles and pine nuts. Sure, it’s a bit of a departure from tradition, but after this whirlwind Thanksgiving food tour, a spicy slice sounds just right. Hungry yet? Why don’t you invite a friend to join you on this tasty, turkey-day trip. Select “Share this itinerary” and your friend will receive an email summary like the one below. 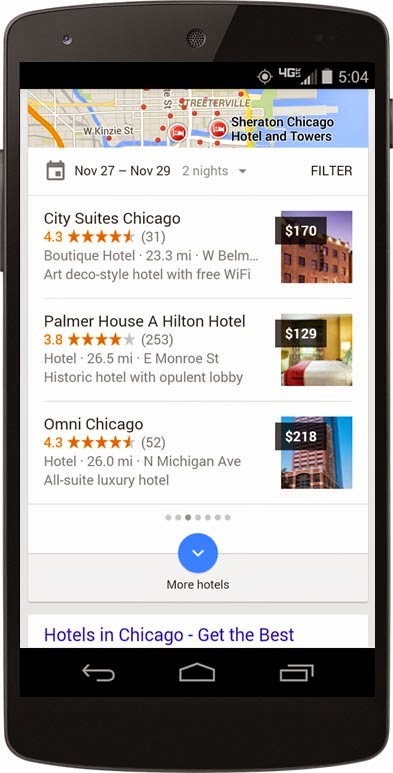 When they select the blue button reading, “View on Google”, they’ll be directed to Flight Search where they can see the full itinerary and quickly complete their booking so they can join you on this multi-city, meal march. Whether you decide to follow our recipe or plan your own Thanksgiving adventure, we hope you’ll see how fast and easy it is to use Google to find the best flights, hotels and things to do on your next trip. This entry was posted in Google Travel Blog and tagged Google Travel, mobile, Products, User tips on November 25, 2014 by G. Travelblog. 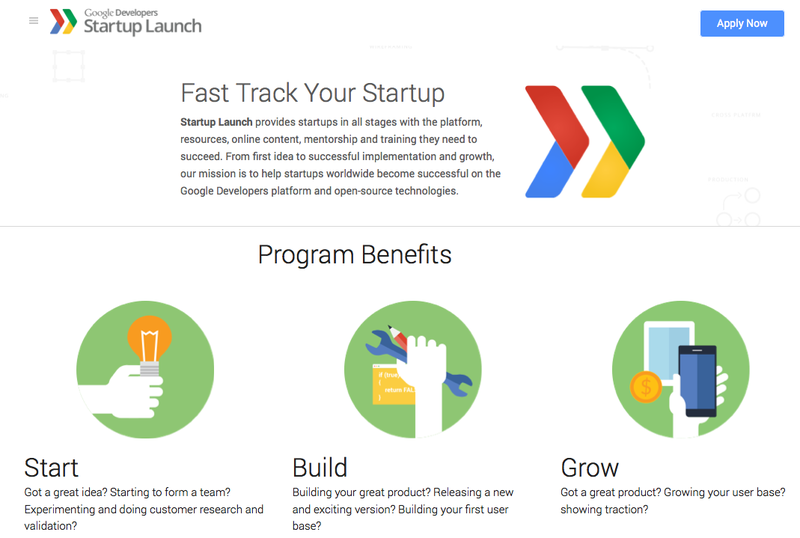 This entry was posted in Google Africa Blog and tagged Africa on November 25, 2014 by Google Africa Blog. This entry was posted in Uncategorized on November 24, 2014 by YT Creators. 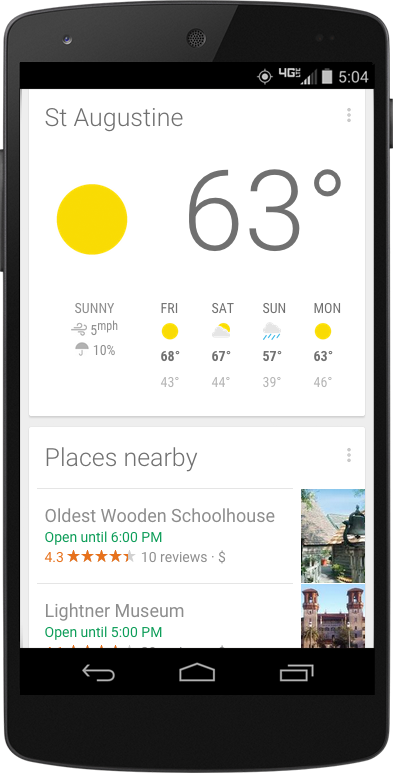 This entry was posted in AdWords Agency Blog and tagged AdWords on November 24, 2014 by Nicole Burgan. Reflecting on the work involved in making these changes, Wyszyński says, “From a technical point of view the process was not really so difficult – it took us about a month of work to incorporate all of the features and we are very happy with the results.” Take a moment to check out Sky Force 2014 TV on a Nexus Player and the other games in the Android TV collection on Google Play, most of which made no design changes and still play well on a TV. 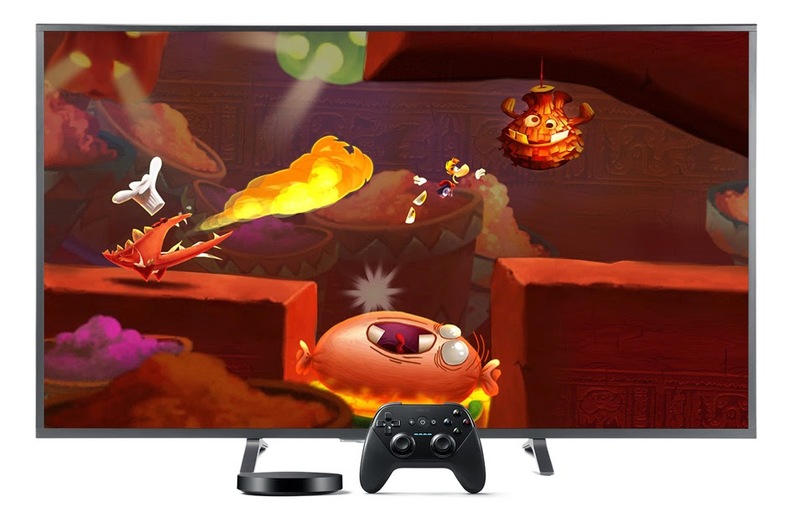 Consider your own starting point, take a look at the Android TV starting point on our developer blog, and build the version of your game that would be most satisfying to players on the couch. 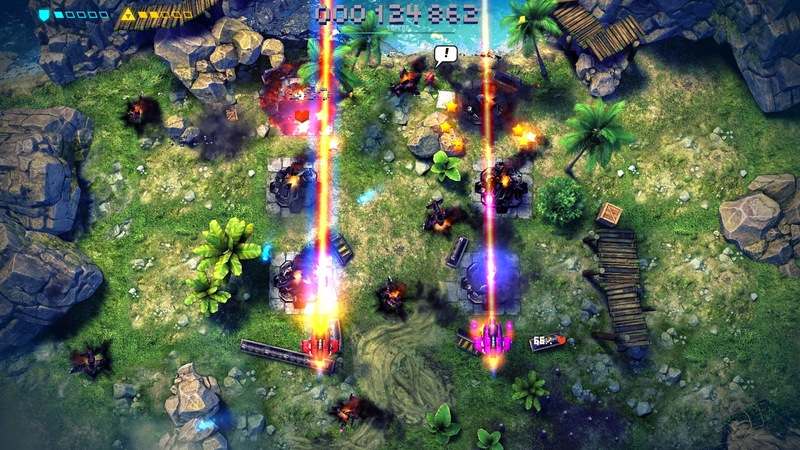 This entry was posted in Android Developers Blog and tagged Android, Android TV, Games on November 24, 2014 by Android Developers.